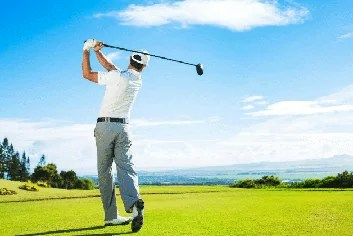 Golf has often been considered one of the best exercises for the body and for relaxation of the mind. As with any sport, there may be injuries when appropriate precautions are not taken at the outset. At CHIRO Ste-Rose, Drs François Poirier Dc B Sc chiropractor and Dre michele Bernatchez DC BSc chiropractor offer personalized exercise programs catered to the golfers needs designed to improve performance and reduce injuries according to The Titleist Performance institute reseach on golf and fitness. Golf is a sport where the whole body structure must be flexible and functional to achieve the best results. Specific training on restoring the health and fitness of the golfer. World’s Greatest Experts in the Field! CHIROPRACTICS FOR GOLF INCREASED PERFORMANCE! Dr. Michele Bernatchez D.C., B.Sc. and Dr. François Poirier D.C. chiropractor, have a thorough knowledge of the mechanics of your body and the movement of all your joints. They know how to evaluate the mobility of the joints of the shoulders, elbows or wrists, hips, knees, ankles, ensuring that your movements will be fluid. If restrictions are found, the techniques will restore optimal joint mobility. Their knowledge of the spine allows them to ensure that all the vertebrae of your column work well and that no blocking or restriction will hinder your performance. They have the ability to see your body as a whole and properly assess your posture. They ensure proper functioning of the lower back, pelvis and lower limbs. These elements are the foundation of an adequate posture essential for an effective golf swing! During your preliminary review, a camera capture of your golf swing will be analyzed. In this way, Dr. Michele Bernatchez D.C., B.Sc. and Dr. François Poirier D.C., B.Sc. chiropractor will be able to detect the most common characteristics that can lead to mechanical inefficiencies and put you at a greater risk of injury. They will then be able to follow the progress and improvement of your swing after the treatments. GOLF CLUBS VISITED by CHIRO Ste-Rose! 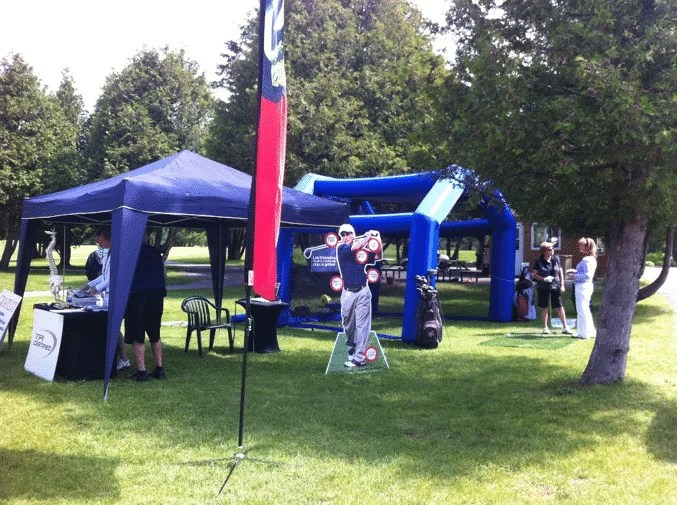 CHIRO Ste-Rose and her team participate every year in events that take place in Golf Clubs. They analyze on-site performance of the momentum of golfers concerned about their health and improve their sport. 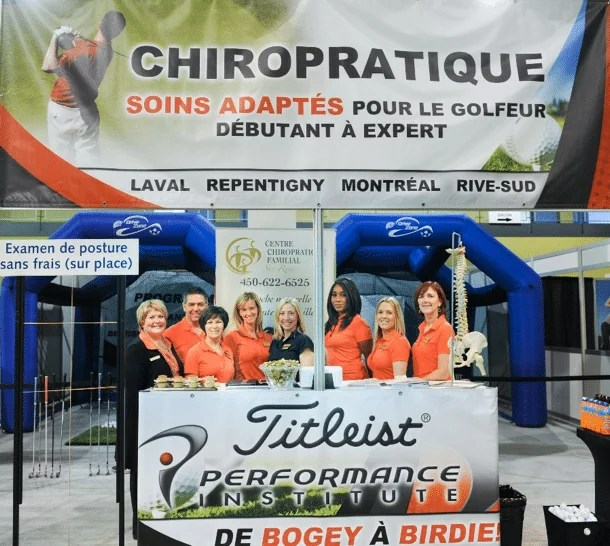 CHIRO Ste-Rose and all its team were also present at the EXPO GOLF in Laval 2016 or more than 18,000 Golf enthusiasts were at the rendezvous! New impassioned golfers have subsequently improved their average on the green! TAKE CARE OF YOUR BACK AND GO BOGEY TO BIRDIE! Of joints, necessary to properly execute a momentum. 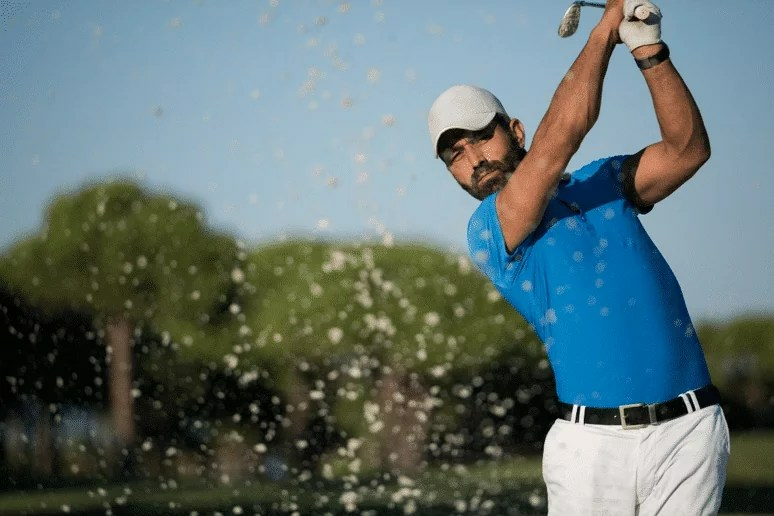 • Titleist Review: A 16-point assessment or assessment of strength, flexibility and balance will be assessed according to the criteria of the Titleist Performance Institute. • A personalized exercise program is provided to improve performance and prevent injury.